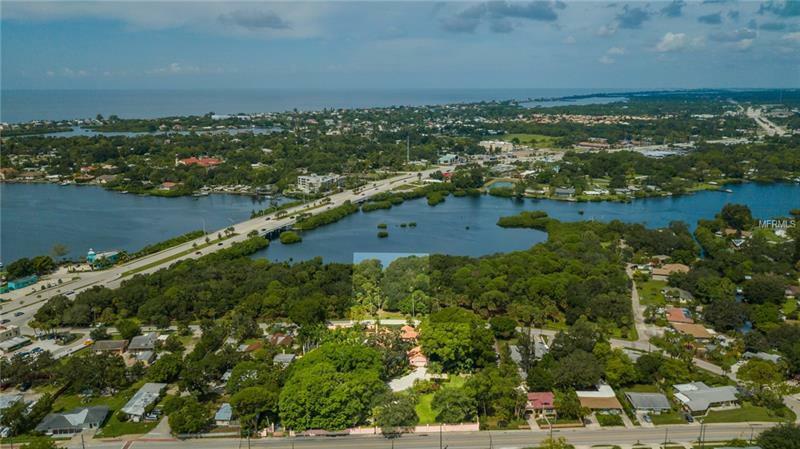 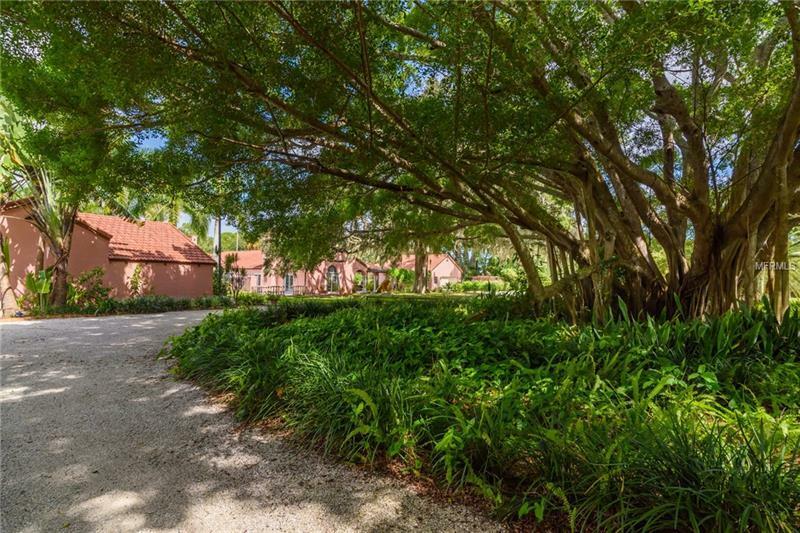 Sited on a total of 2.8 acres, including 1-acre with 156 ft of water frontage on Dona Bay with direct boating access to the Gulf of Mexico, the gated Villa Terra Mar Estate will transport you to a simpler time. 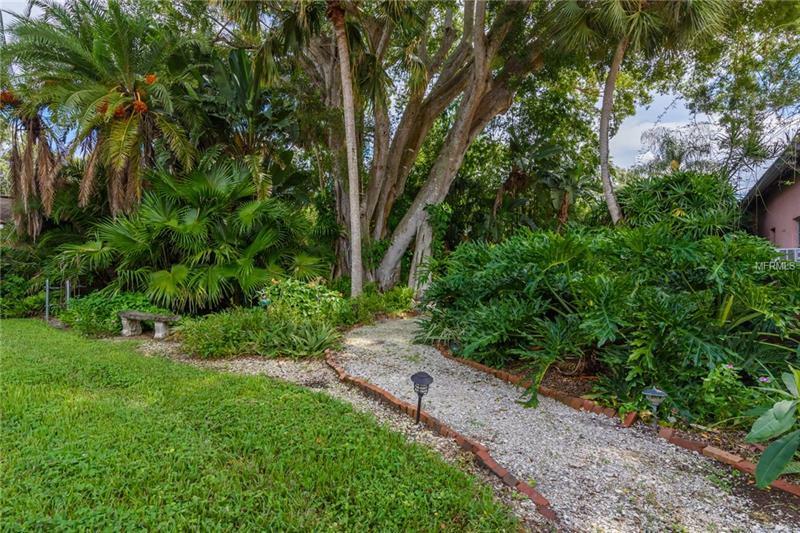 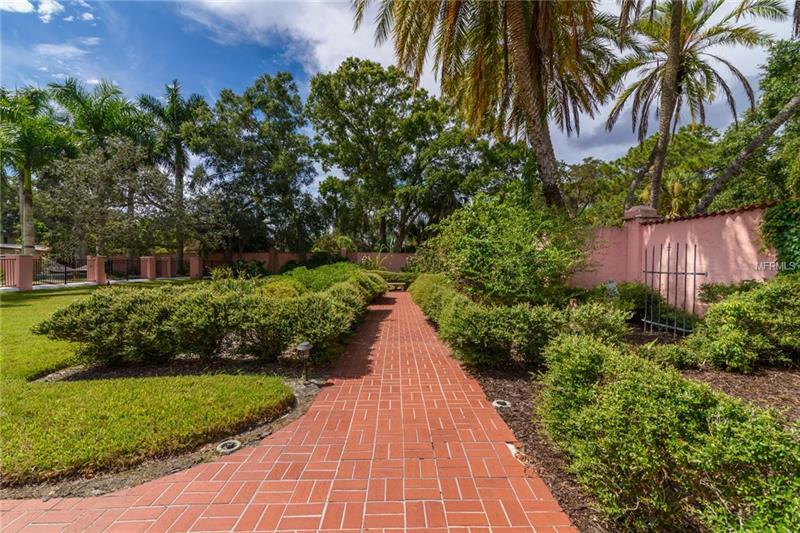 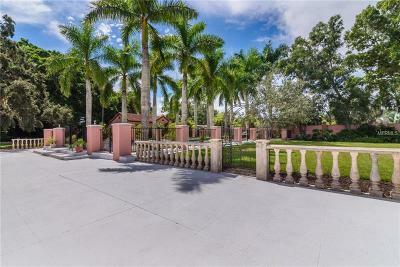 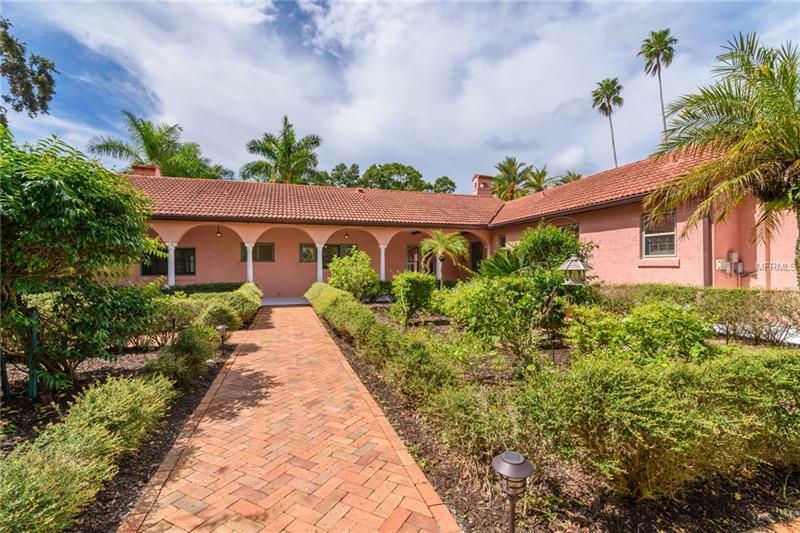 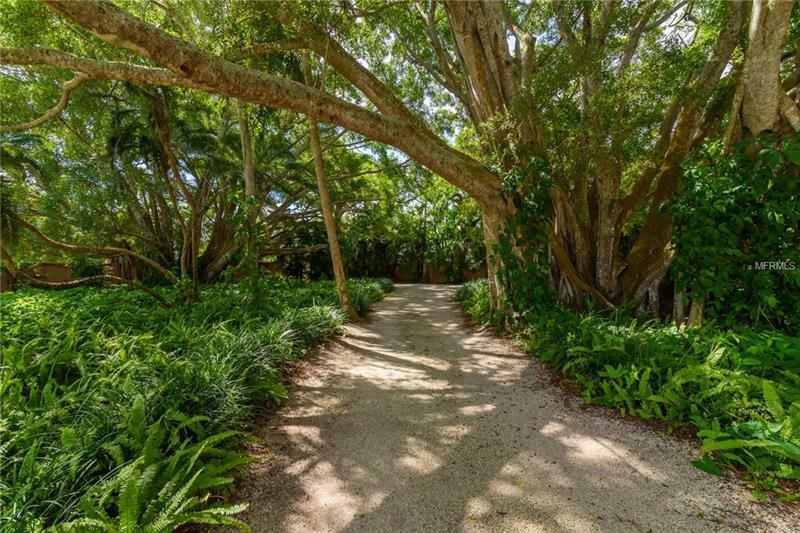 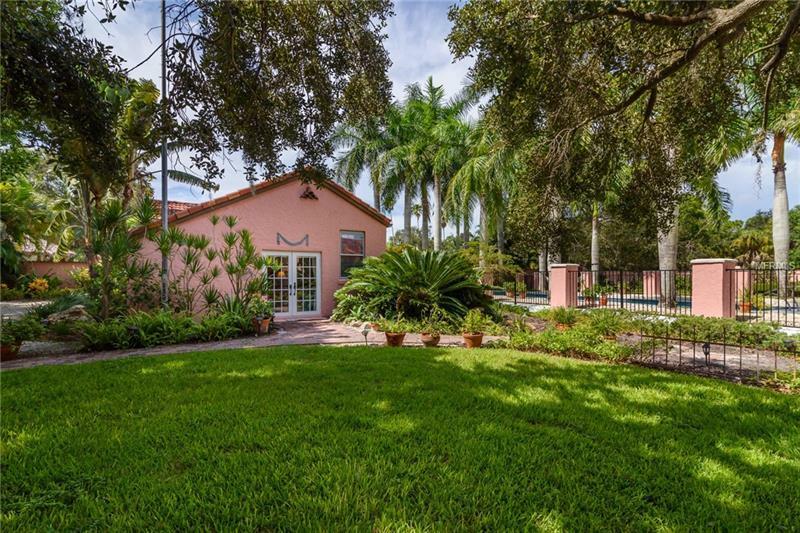 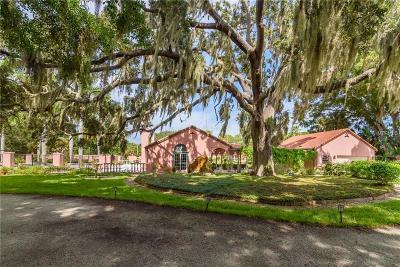 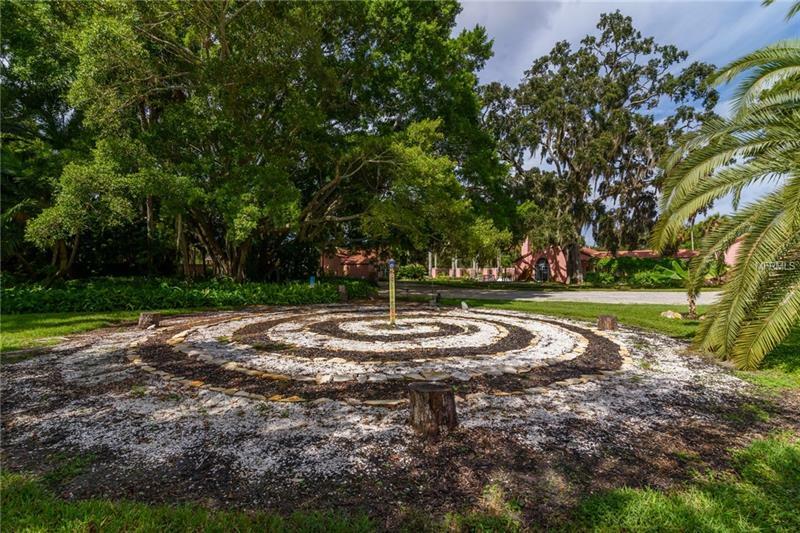 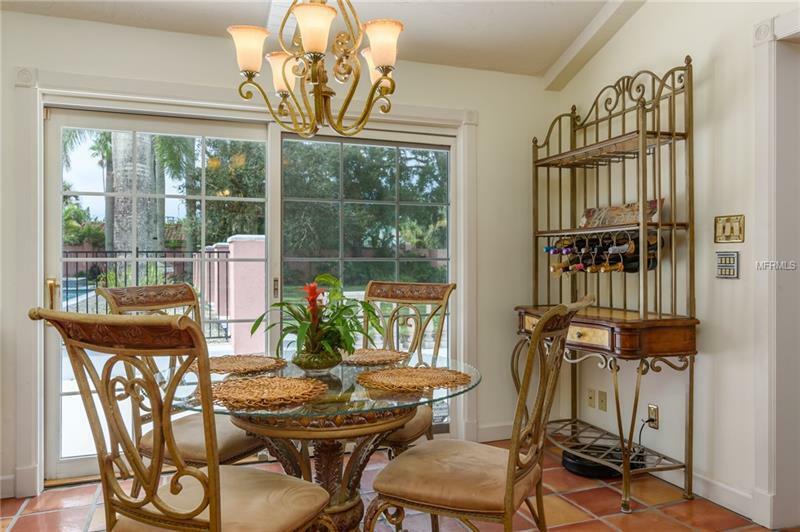 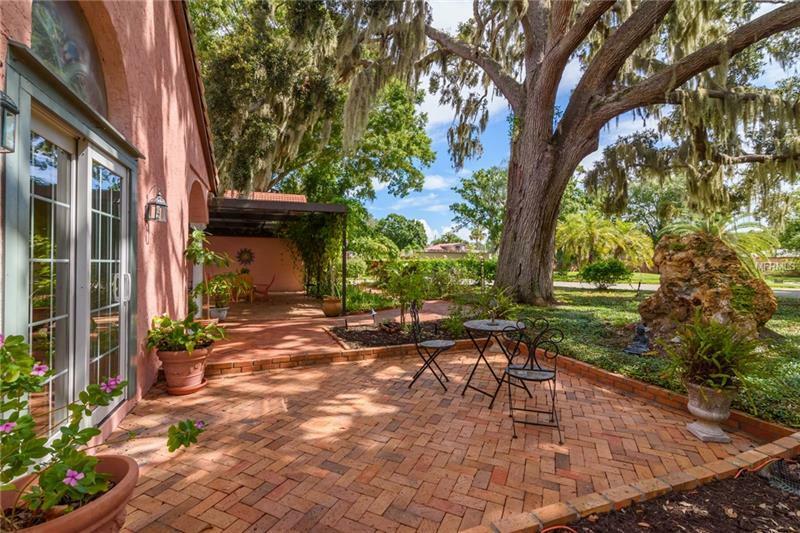 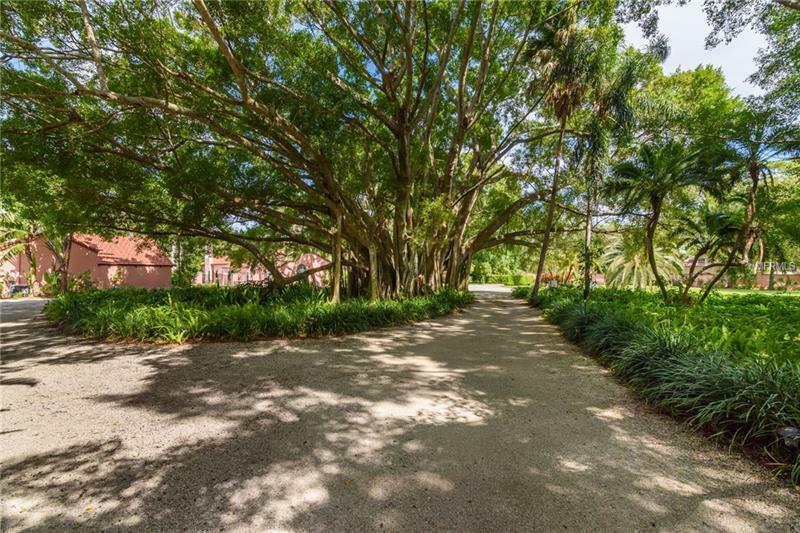 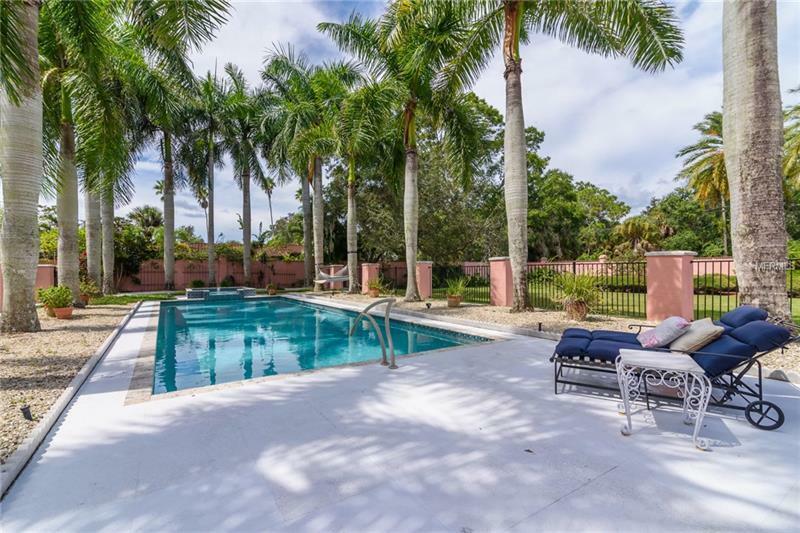 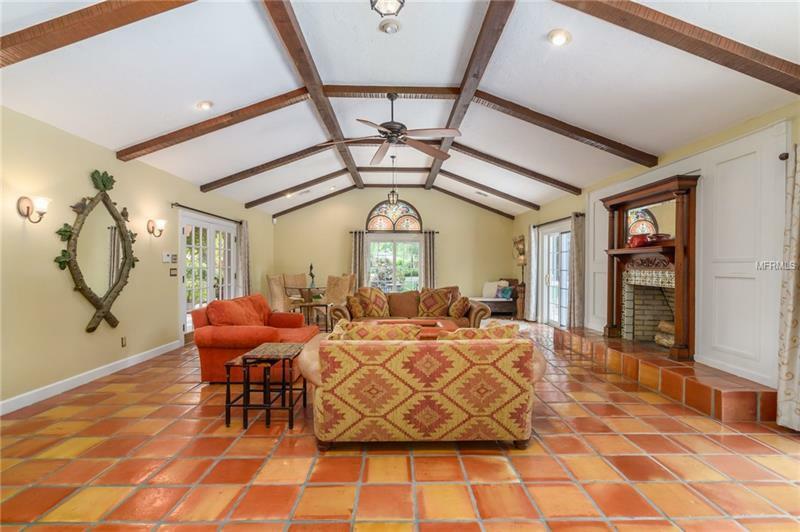 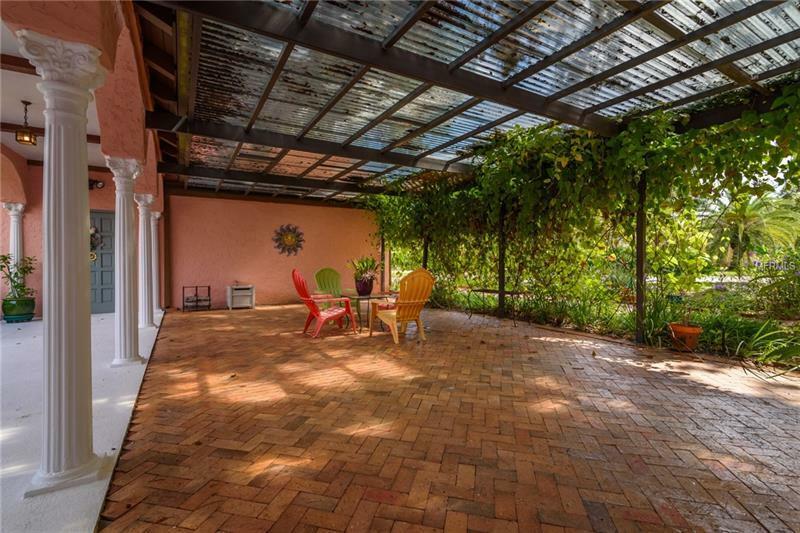 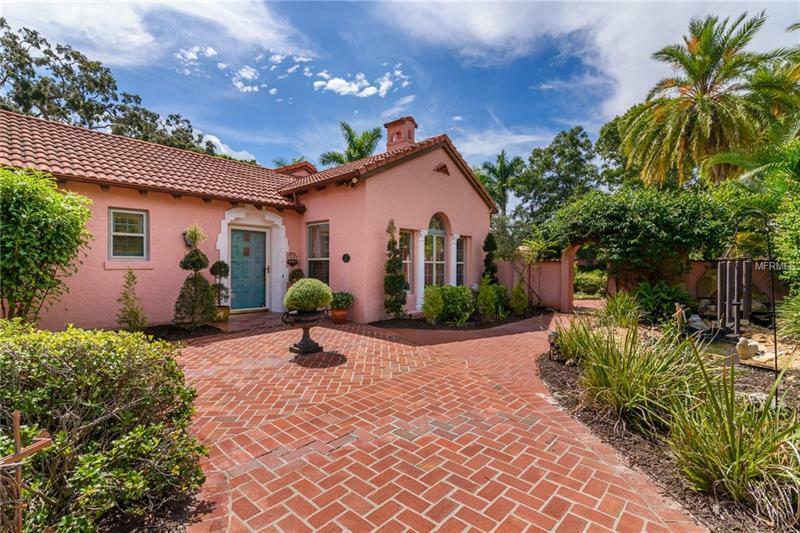 Large banyan trees, lushly landscaped grounds and paver pathways provide a stunning backdrop for this sprawling old-world Mediterranean Estate and create a sense of peacefulness for this one-of-a-kind multi-generational compound. 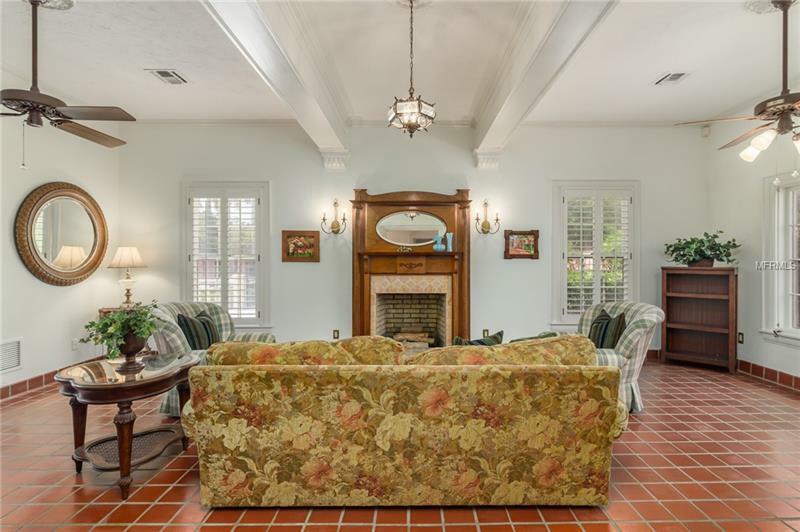 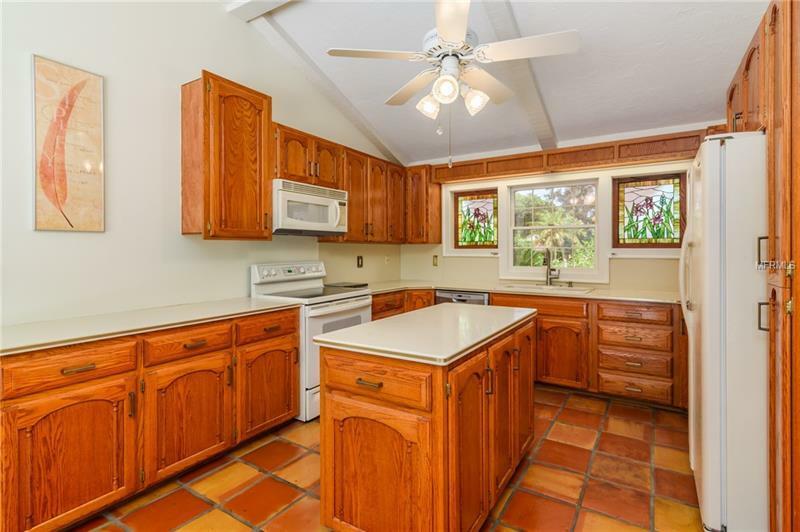 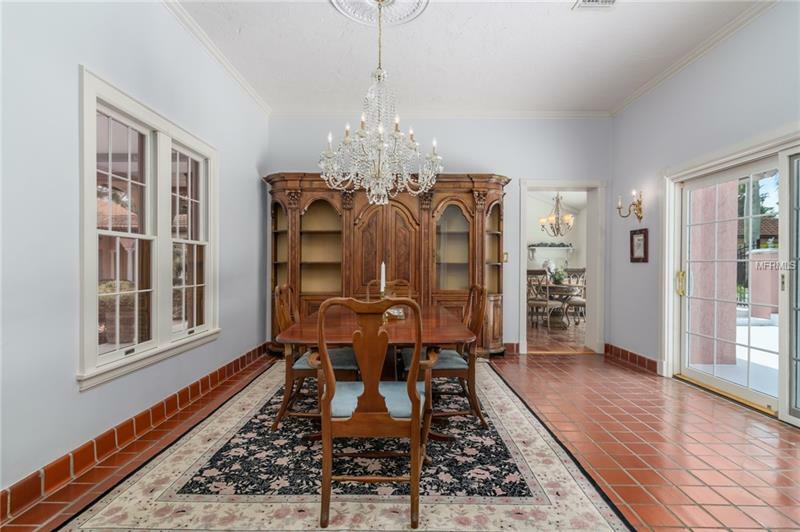 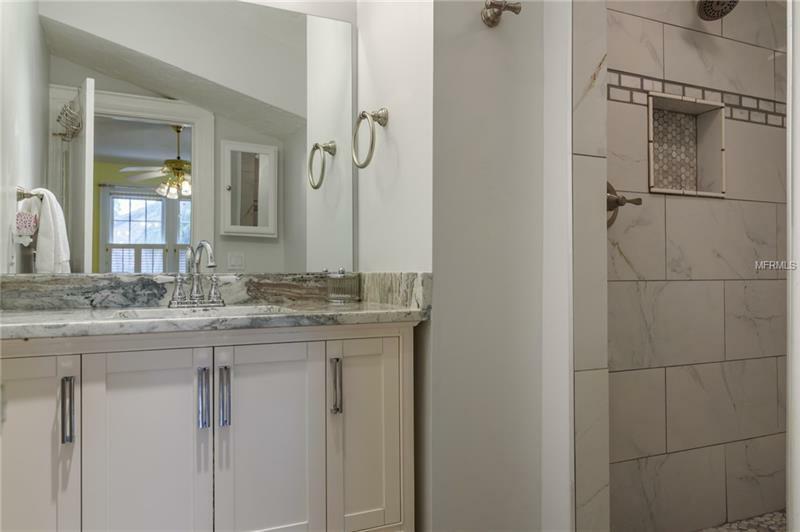 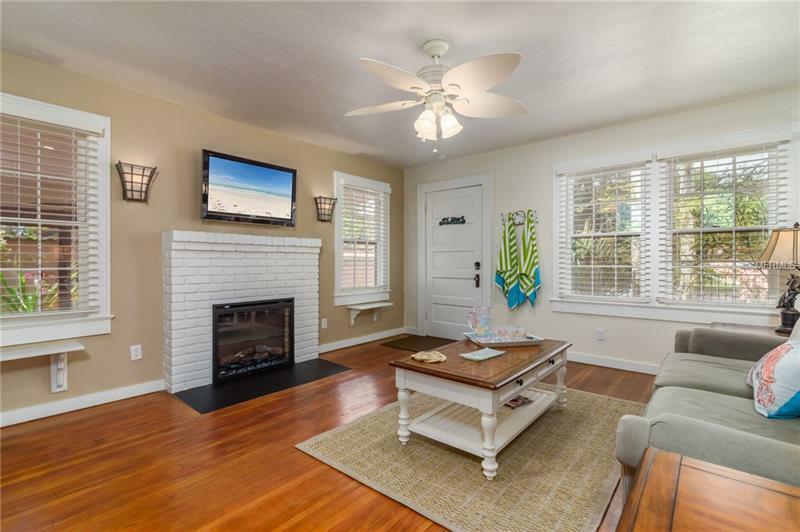 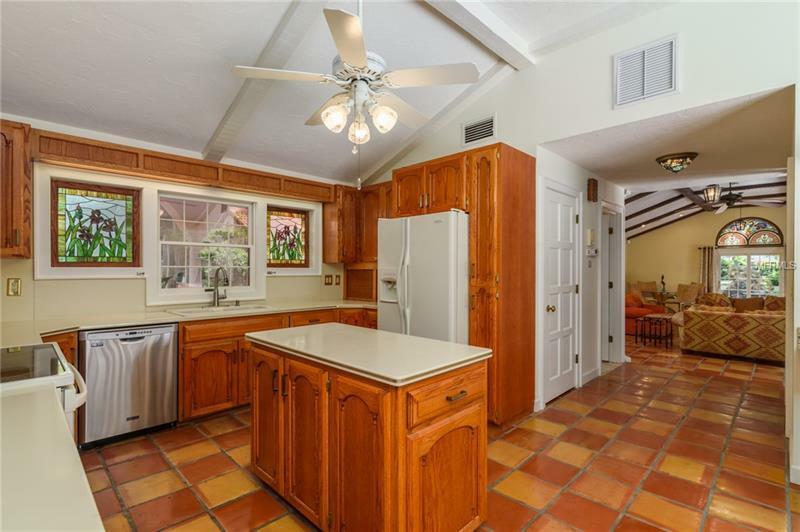 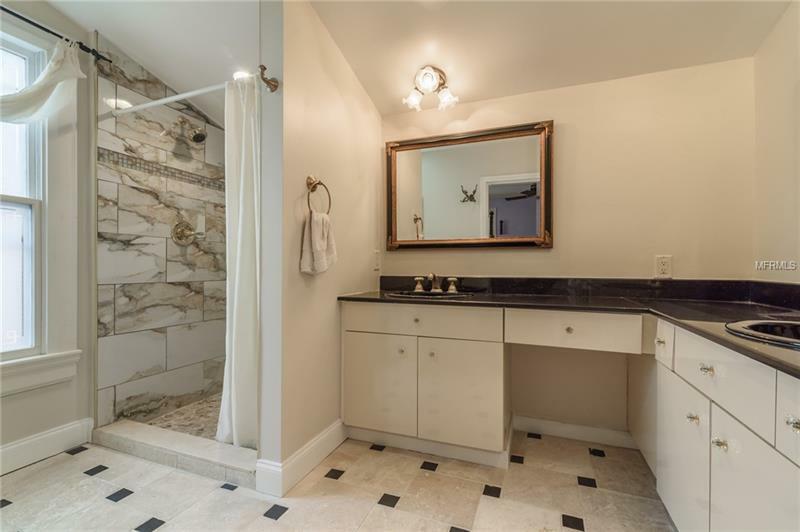 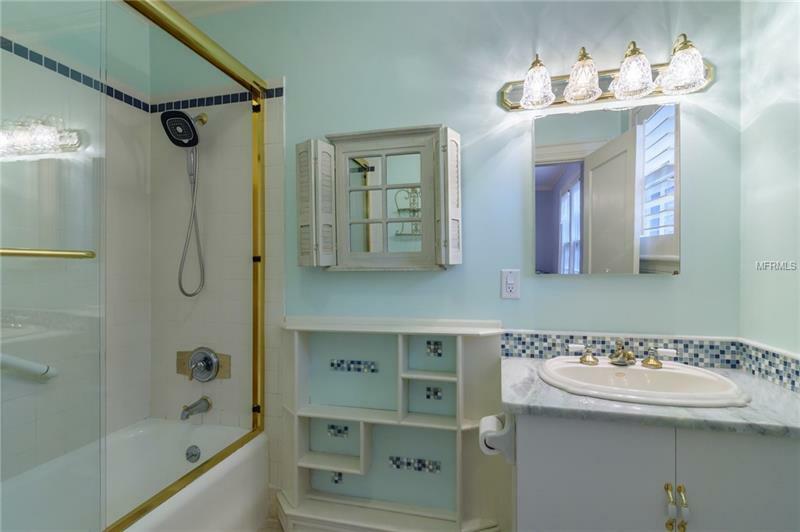 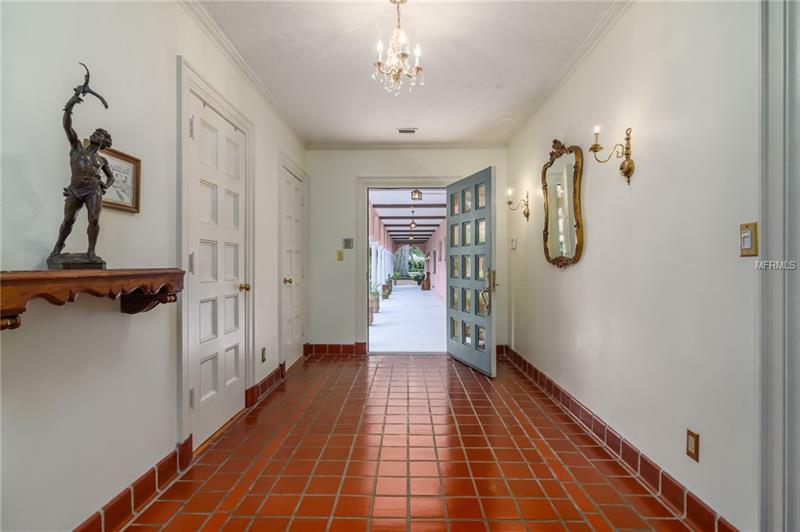 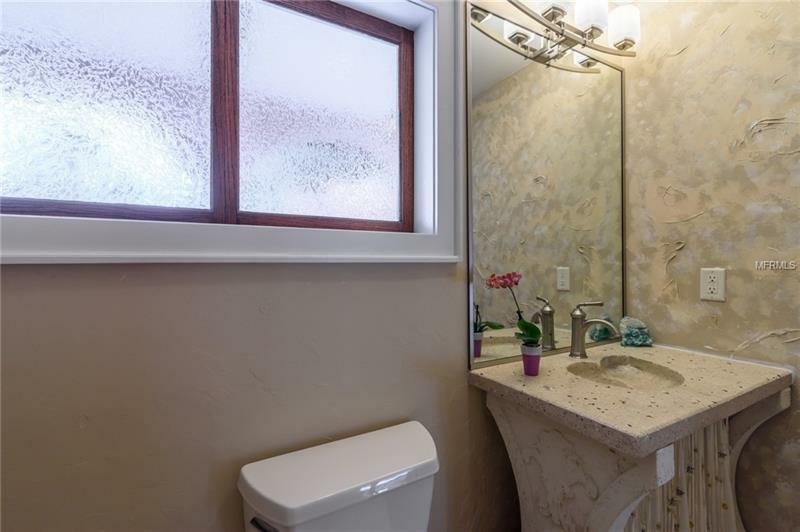 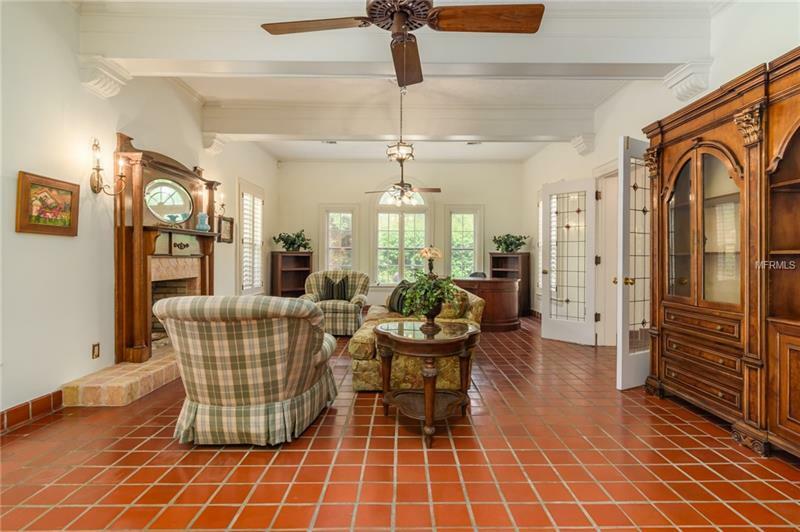 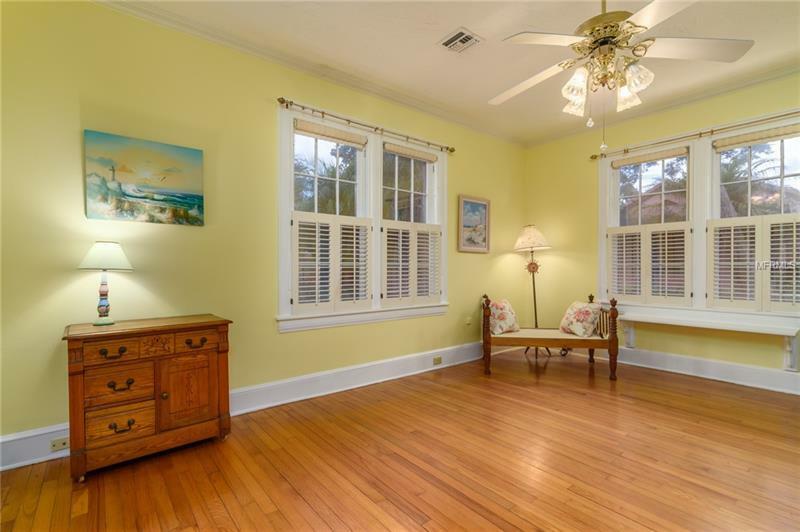 The 3-bdrm, 3.5-bth main house features original Saltillo terra cotta tile and hardwood floors, wood beamed vaulted ceilings & two fireplaces. 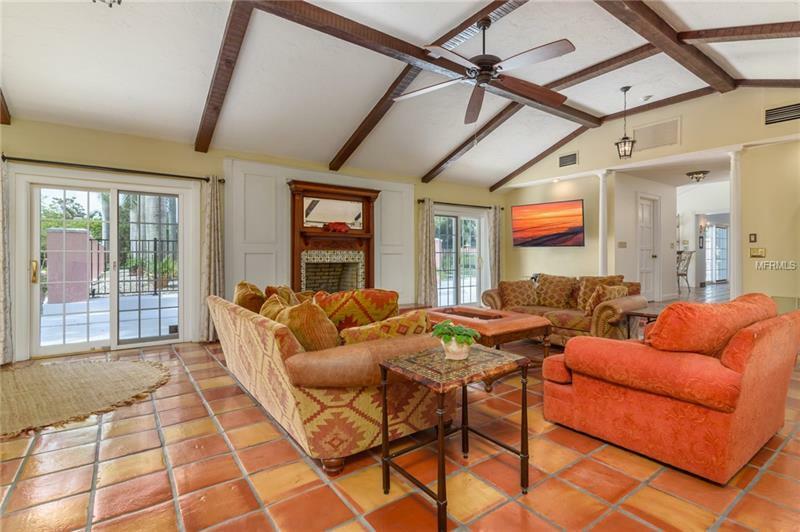 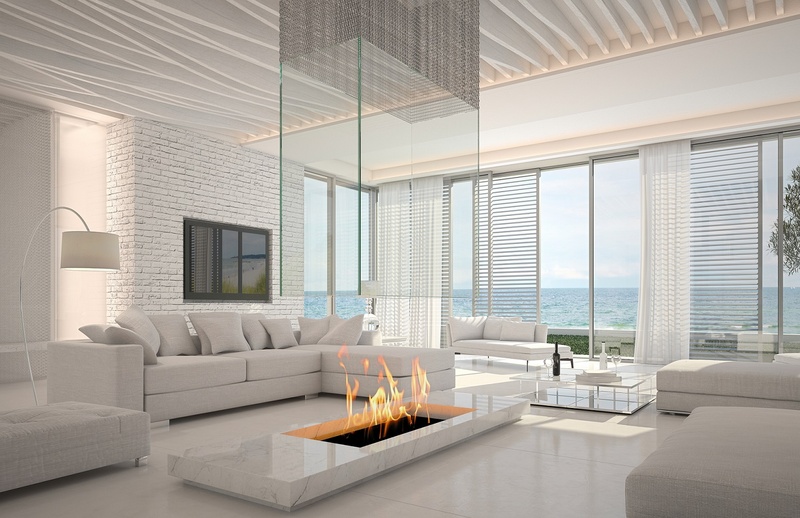 The family room is expansive and boasts multiple sets of sliding and French doors on both sides of the room that open to the stunning outdoor space lining the perimeter. 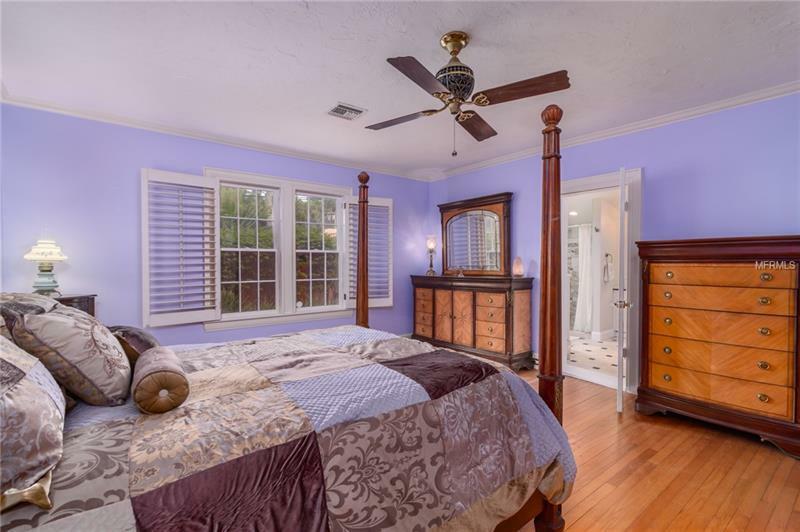 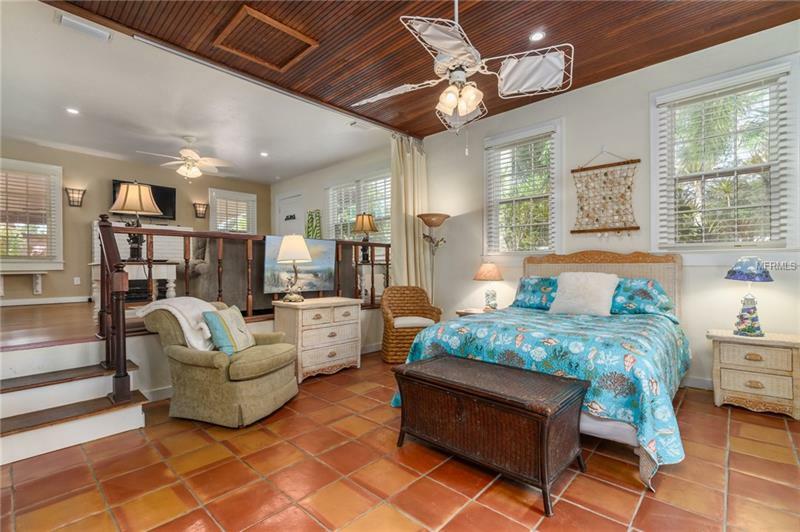 The picture-perfect guest house includes a bedroom, living area & bath and features wood slat ceiling, heart of pine flooring, fireplace & private patio. 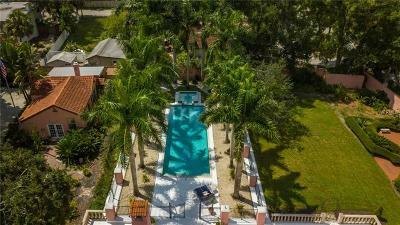 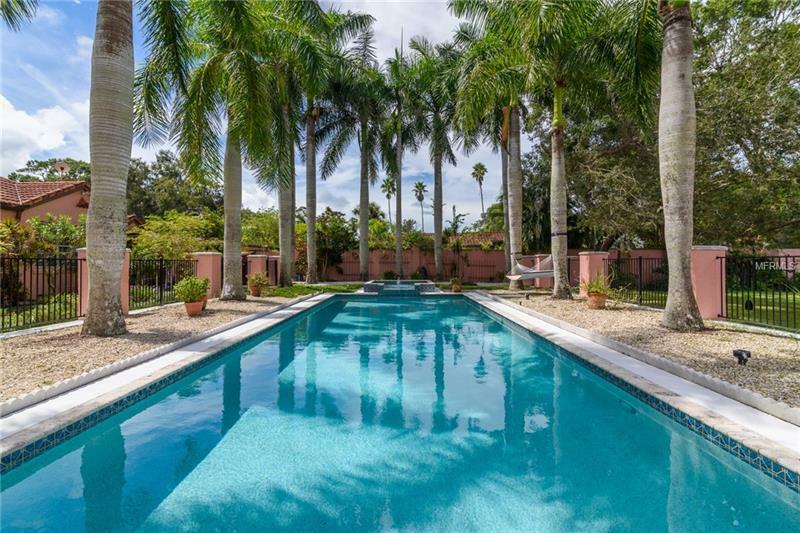 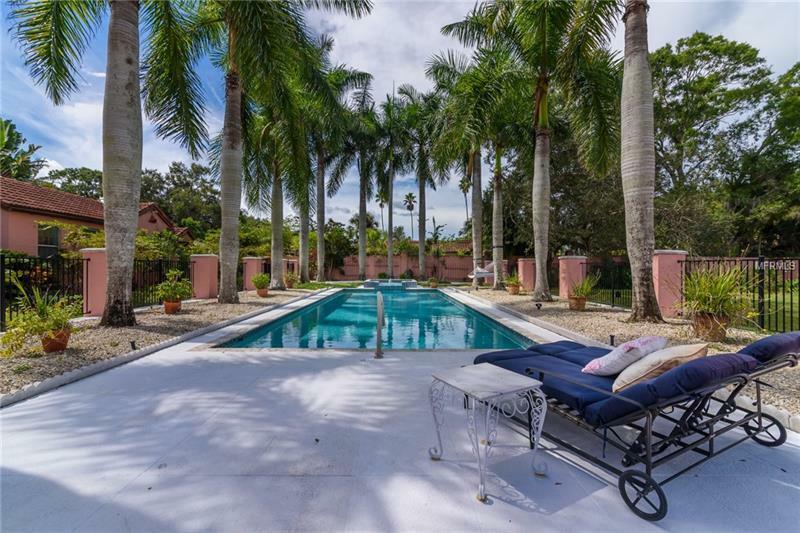 Stately palm trees line the Hollywood style pool & spa and fit perfectly into the natural setting creating an outdoor space made for relaxing and entertaining. 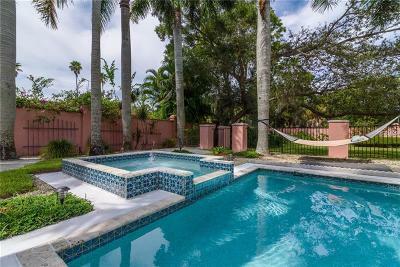 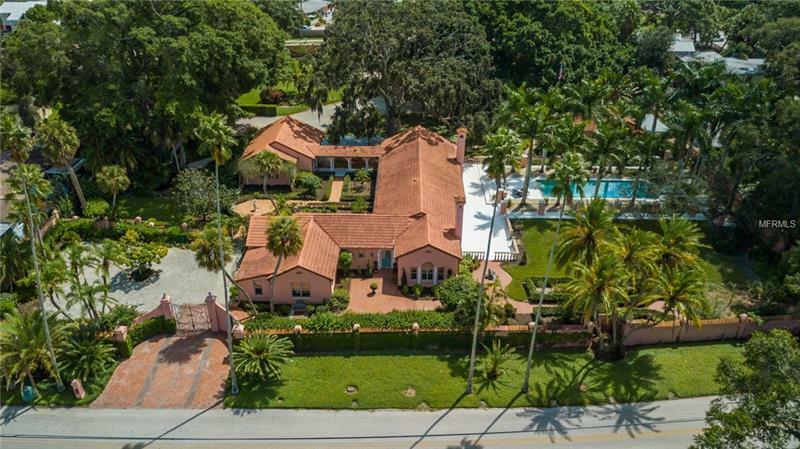 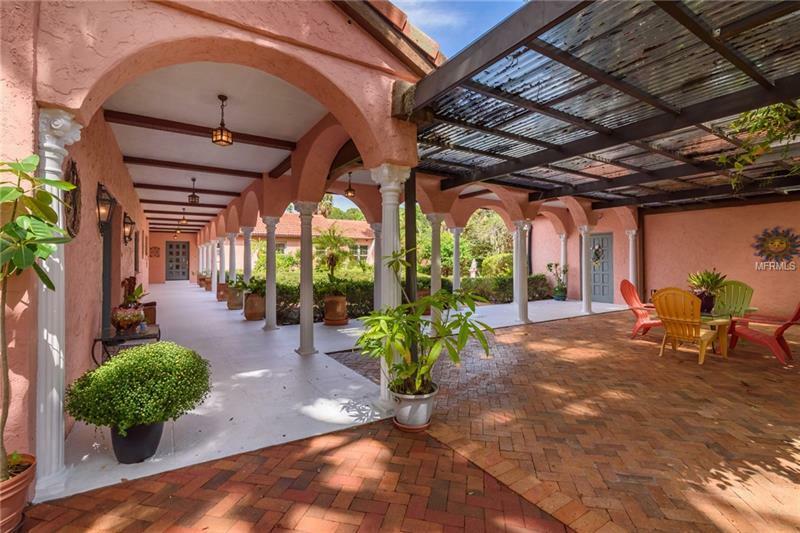 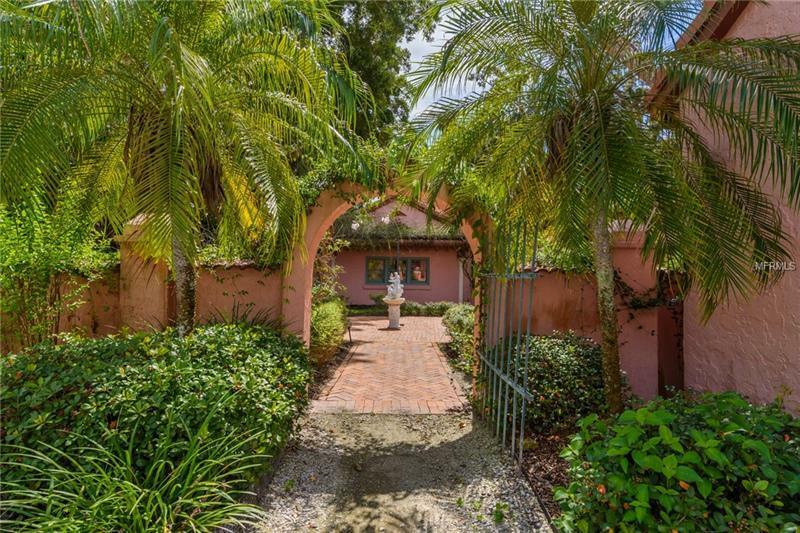 Villa Terra Mar, The House of Land and Sea, is historically designated and with its Palm Beach style feel, multiple gardens, colonnaded paths & patios, and bay frontage it may just be one of the most interesting properties on the West Coast of Florida. 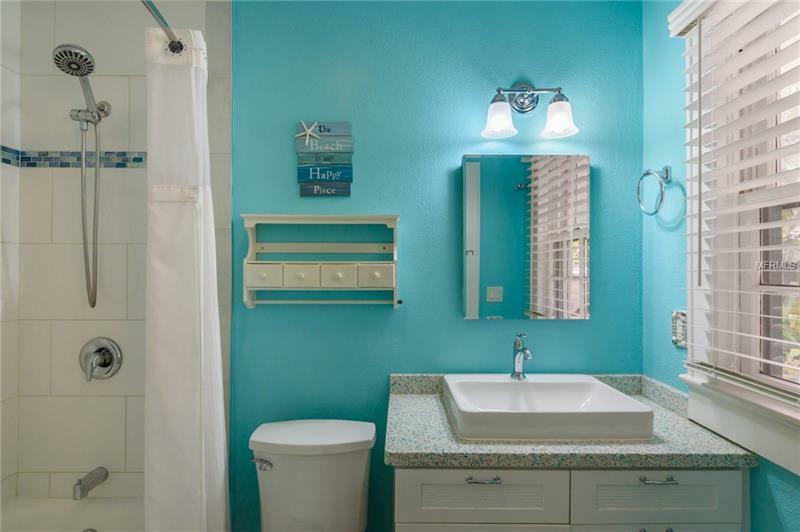 Located just minutes from Venice Island and all the restaurants, shopping, biking and water sports the area has to offer.